TUKWILA, Wash. — Haley Kopmeyer knows that if things go according to plan she will not play in Sunday’s NWSL Championship. She also knows that she’d better be ready – just in case. Kopmeyer was drafted 31st out of 32 in 2013 and served mostly as a second-string goalkeeper for the Reign. She was eventually waived when Solo returned and the club needed a roster spot to add a field player. After clearing waivers she was asked to remain in the area and train with the team, and eventually signed as the backup to Solo last fall. 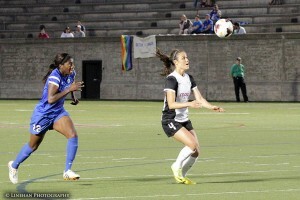 Kate Deines began last season as a starter for the Reign before injury knocked her season off stride. She grew up 20 minutes from Starfire, played college soccer at the University of Washington, and was the local tie to the Reign in 2013. 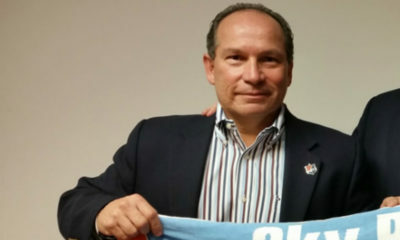 When the season ended the club went on the open market and began adding players. Like Kopmeyer, Deines is a backup player in the 2014 Reign side, but as a field player there are more opportunities to get into matches. She got into 18 of the 24 regular season games, starting half the time. But Deines totaled less than 900 minutes. And then came the semifinal and the injury to right back Elli Reed. That allowed Deines to start in central defense with Lauren Barnes pushed out to the right. Reed is looking like she’ll start on Sunday, meaning Deines is likely back on the bench. If she had her druthers her position would be center back, but the bench role is usually to sit on top of the back four to help kill the game. It is different for Kopmeyer. Only an injury or red card to Solo will get Kopmeyer off the bench. But she must remain ready at a moment’s notice. Or as was the case earlier this season, when a legal issue threatened to take Solo away from the club. 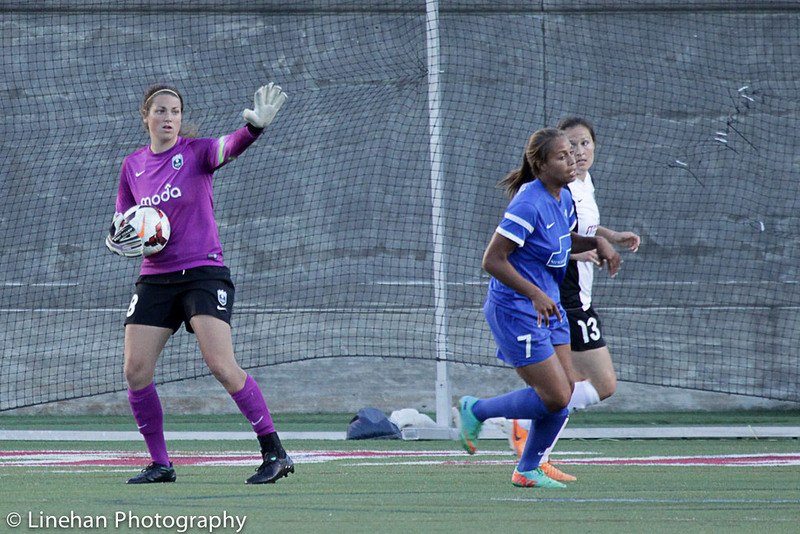 Kopmeyer made her season debut June 19 when the Reign won in Boston in June. Solo was expected back three days later in Western New York, but was arrested in Seattle before rejoining the team. 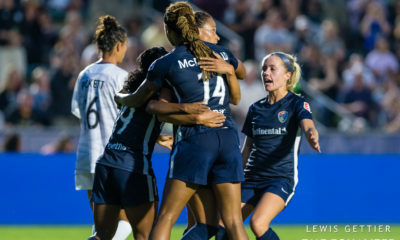 That gave Kopmeyer the start against the Flash and she played ahead of Solo the next weekend against Sky Blue. Solo’s legal issues are not resolved yet but it has not affected her time with the Reign since those first few weeks. 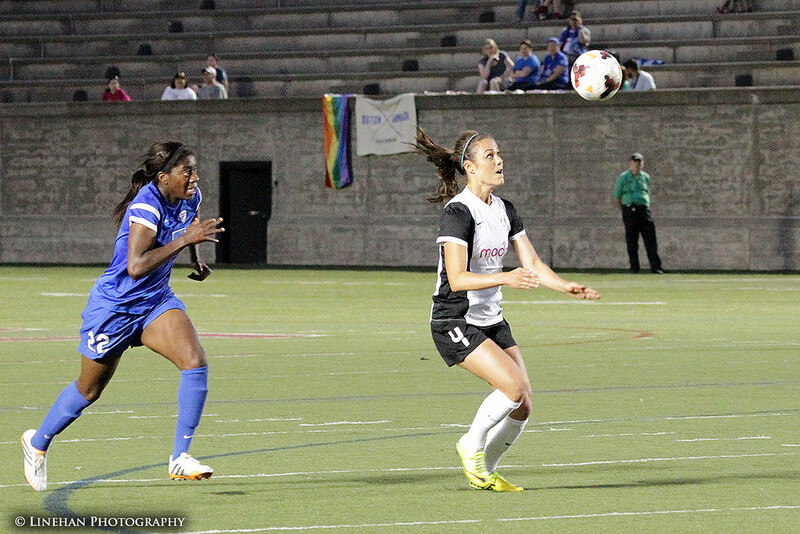 Kopmeyer played once more, a win over the Dash just after the Reign wrapped up the Shield. So for Sunday, it’s business as usual for Kopmeyer, watching…and waiting.